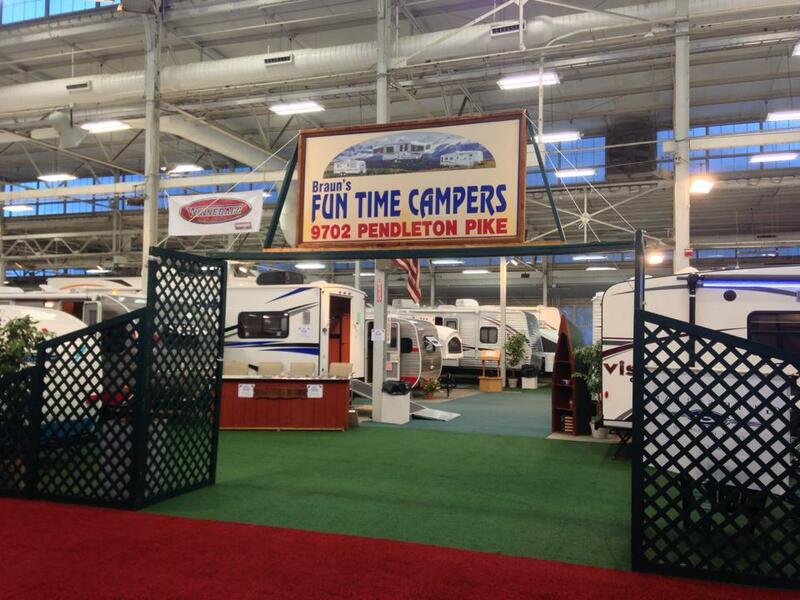 When I last wrote in late December, I talked about my upcoming venture into a temporary job as an RV salesman for Braun’s Fun Time Campers at the annual Indy RV Expo in Indianapolis. That nine day show has since come & gone, so here’s the recap. First off, I thought I was fairly well versed on trailers and their workings, but boy was I blindsided early the first Saturday of the show by a gent wanted to know more than I knew about the water fills on one of the Winnebago Minnies we carried. After I fumbled my way through an answer, the rest of the show got much better for me from a comfort standpoint. 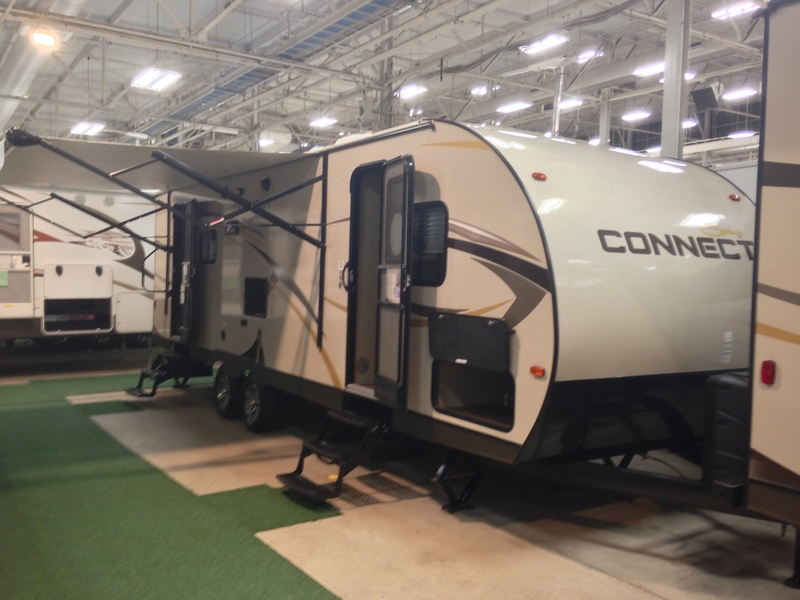 Being at the show and around the trailers helped me become more familiar with our inventory than studying floor plans online ever could. The first weekend was quite the flurry of activity. We had factory reps to help us out from KZ, Gulf Stream, Riverside RV, and Winnebago. I made some good contacts that first day, although no sales for me were to be had. However, I’m keeping my fingers crossed a couple who all but committed verbally to a new KZ Spree Connect haven’t changed their minds while on vacation. However, traffic Saturday evening dwindled as the night wore on, thanks in part to the Indianapolis Colts playoff game that evening. Sunday proved to be more of the same, but I still was able to hone my “craft” and take some notes from the guys that do this for a living. I didn’t make it back to the show until the following Friday night, due to my regular day job. I worked the rest of the weekend from open to close to the end of the show Sunday afternoon. To my surprise, the entire pavilion where the show was held had to be emptied by the end of the night…meaning a systematic evacuation of 200+ motorhomes, travel trailers, and 5th wheels in the span of a few hours. But Sunday was a pretty good day with a lot of folks coming through our display. I made some more good contacts and spent some time with a few more customers, but nothing materialized in the form of a sale. Until Monday. One couple I talked with Sunday were interested in a used KZ Sportsmen Classic 13FK that wasn’t at the show, but out at the lot. They were trailerless, but had an r-Pod that was just a little bit too heavy for their tow vehicle. I had gone through some of the models that were on the lot, but since the lot was closed on Sunday (and everyone was working at the show anyway), they had to wait to see them until this week. I learned from the show not to get too optimistic if someone seems interested and then you don’t hear back from them. Since I had to go back to my day job Monday morning, I was starting to wean myself from the fun I had working at the show and getting back into my routine. Then I got an e-mail from Fun Time Campers owner Matt Braun mid afternoon that brought a really big smile to my face and a little self satisfaction that I could do it. Congratulations. You sold your first trailer. The Morgans came out and liked the 2011 Amerilite 15 FD. Test pulled it. We are demonstrating it and they are taking it home with them. So I finally bagged one. My only regret is that I couldn’t have been at the lot to see them off with their new trailer. But it at least proved that I could do this for a living if I wanted to, although there’s a lot more to learn. 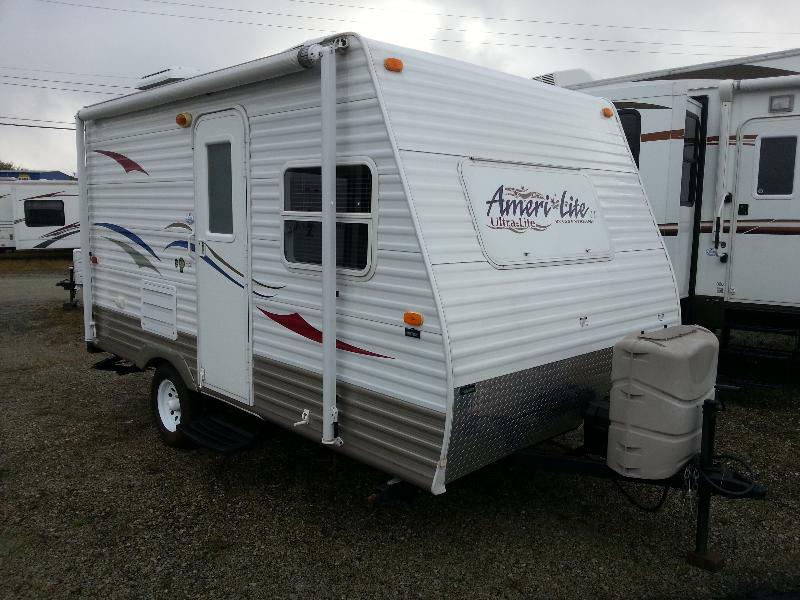 The Morgans may be the first and last I ever sell a trailer to, but it was fitting that they bought a 15 foot trailer…the epitome of the very size this website embraces. And it was because of the very existence of this website that gave me the opportunity to work for Braun’s Fun Time Campers to begin with, so things seem to have come full circle. As always, thanks for reading….